The people of Carmine pull together in service to their neighbors throughout the year. One of the main events of the year in Carmine is the annual Firemen’s Feast. 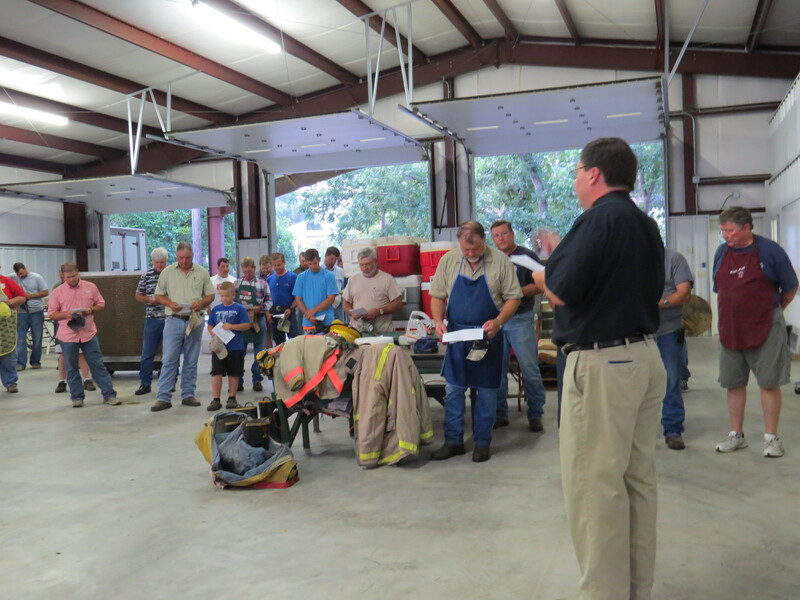 This fundraising event helps cover the cost of providing a fire department for this community. There are large numbers of people who give of their time, energy and resources to make this event happen each year. In order to provide a time of worship on Sunday morning for these faithful servants MLLC brings church to them. A brief worship service with Holy Communion will be offered this Sunday, July 19, at about 7:30 a.m. at the Carmine VFD fire house. (We will also gather at MLLC for our usual time of worship at 9:00 a.m. this Sunday.) All people who will be serving at the Firemen’s Feast Sunday morning are especially invited to participate in this time of prayer, Word and Sacrament. We are expecting 50+ participants this year. Most of the people at this service are the cooks for the chicken, but the service is not limited to those at the firehouse. If you are going to be working at the dinner at Carmine Hall, please feel free to attend this 7:30 a.m. service at the Fire Station before you head over to prepare the hall for serving. The photo above is from last year’s service.